The lives of the majority of Thai people are dominated by traditional agricultural rhythms and the sounds of Buddhist rituals at the nearby temple. In homes across the country the most important image is Buddha. 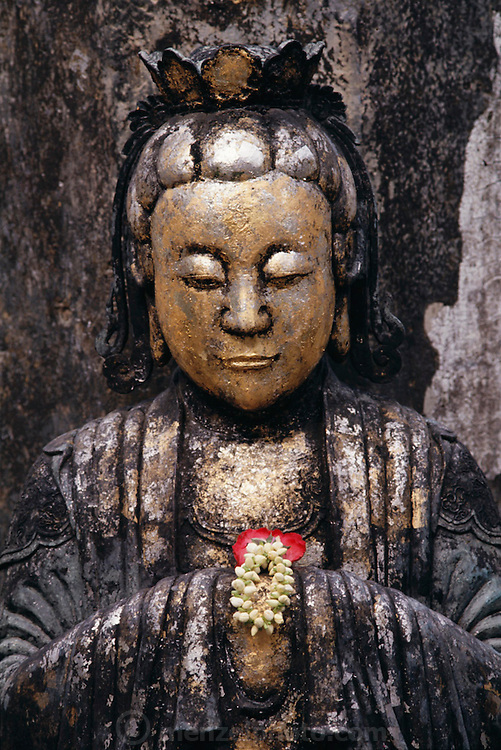 The image shown here is a bas-relief of Buddha at the Grand Palace in Bangkok, Thailand. Published in Material World page 83.